How grounded in strategic reality is the Australian government’s decision to purchase 12 new submarines? On April 25 2016, the very day that Australia commemorated its war dead who fell in Europe a century earlier, Australia sent a private note to France, its former ally, that it had won the bidding process to be preferred designer of 12 new submarines. In announcing the decision, the Australian government made some understandable historical allusions to past alliances but it also delivered a series of all too glib one-liners about the country’s future strategic needs and unnamed potential adversaries. This A$50 billion ($38.8 billion) project is supposed to be part of the country’s push to become an innovation nation, but the government has not provided much detail on just how the project will drive innovation in Australia. Turnbull, when pressed, has been unable to specify just how much of the project would be Australian-built, beyond suggesting that all the submarines would be built here and that the project would create 2,800 new jobs. There are some warning lights going off in my mind about the strategic thinking behind the decision to build 12 submarines rather than six or eight, and the government’s rhetoric justifying it. 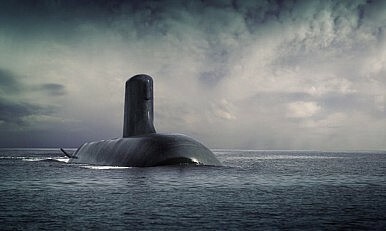 Given Australia’s relatively benign strategic environment, the very high projected cost for the 12 Shortfin Barracuda boats is probably not justified, especially since the primary practical missions of the submarine fleet will be covert operations and intelligence collection. The Defense White Paper 2016 says that the submarine fleet’s missions will be “anti‐submarine warfare; anti‐surface vessel warfare; intelligence, surveillance and reconnaissance; and support to special operations.” But the first two of these missions are credible contingencies only in a small number of quite unlikely circumstances, and then mostly as part of a multinational force with the United States where our commitment would not need to exceed three submarines at any time. Turnbull said that the 12 new submarines are being built to “defend our island nation.” One might well ask who is threatening the Australian continent now or into the future in such way that this submarine force would become a decisive factor. In the unlikely event that there were to be a military conflict near our shores, it is not likely to last long enough for the Australian submarines to be a decisive capability. In launching the 2016 Defense White Paper on February 25, 2016, the prime minister deployed several empty phrases, such as needing regional deterrence and shifting strategic balances, without any detailed account of just what these terms might mean in 15-30 years’ time. No substantive detail has been forthcoming from the Defense Department. After the submarine decision, Turnbull has replayed the rather obvious proposition that “in the next two decades, half the world’s submarines and at least half the world’s advanced combat aircraft will be operating in the Indo-Pacific region, in our region.” Since that region comprises more than half the world in population, and is home to littoral countries delivering somewhere close to two-thirds of global GDP, we might reasonably ask just how many submarines and combat aircraft we might otherwise expect the region to have. In this context, Turnbull’s emphasis on Australia’s “regionally superior submarines” is equally curious, given that by the time they are built and in service (beginning 2030), other regional countries, such as Indonesia, on track to become far more wealthy than it is today, could have acquired the same or better simply by buying newer advanced boats from France. DCNS currently supplies Malaysia with a different, lower grade submarine (Scorpène-class) and there are reports from 2015 that Indonesia is interested in buying the Scorpène-class submarine as well. But thankfully, Indonesia (more of a maritime state than Australia) does not yet see acquisition of naval power as of such overriding importance relative to national economic development as Australia appears to. Moreover, by 2030, regional anti-submarine capabilities will be far superior to what they are today, in part as a direct result of the Australian build. These considerations are not surprising but merely speak to the imprudence of trumpeting an imagined military superiority in the region for just one weapons platform (submarine v. submarine). As a military planning concept this is not defensible and as a diplomatic theme it is quite imprudent. As a national development strategy — submarines at A$50 billion compared with civil infrastructure for the same price — well, Australia simply has not had that debate. For a little more than the likely eventual price of the submarines (estimated variously between A$50 billion and A$100 billion), Australia could have a high speed rail system costed very provisionally at A$112 billion, that would, on balance over the long term, do more for our national security in economic terms than the submarines ever will. If somehow China is the unmentioned threat behind the submarine decision, then the Australian government must say so. While some in the Pentagon and Australian think tanks would agree with such a view, there are as many specialists, with equal or greater expertise, who do not. In particular, the Office of Naval Intelligence in the United States and the United States Congressional Research Service present a picture of China’s likely naval interests and capabilities that impinge directly and negatively on Australian future interests in only one way: the regulation of military activity inside China’s exclusive economic zone. Those sources suggest that China’s naval priorities actually support Australia’s most important naval interest: the protection of international merchant shipping. Both organizations do identify potential conflict scenarios (Taiwan and the South China Sea) involving China that may engage Australian interests. But few specialists, even among hawks in China and the United States, foresee a sustained military conflict (a war) with China in either location as likely. Australia’s independent specialist community focused on the study of regional military capability, especially in China, has collapsed in the past 15 years (since 2001) in part because of the country’s engagements in the Middle East and Afghanistan and in part because Australia’s own region has been very peaceful. We can see the fruits of that collapse in East Asian military expertise in the weakness of the government’s justification of the massive spend on 12 new submarines. Its explanations appear to owe more to strategic realities of the past than they do to knowledge of the present or the likely shape of our regional future. The country probably needs a regionally superior cyber-enabled and balanced military force across all services before it needs a force of 12 submarines. We can expect that the Australian government will come to see that. In the absence of a direct military threat to the Australian mainland, the projected submarine spend of A$50 billion is almost certainly unsustainable in political terms. The eventual build through the 2020s and 2030s of new Australian submarines will almost certainly be closer to six boats than 12.